A previously abandoned oil tank being removed. All our projects offer you ‘not to exceed’ pricing on your oil tank if requested. We take the time to put what things can come up during the oil tank removal process on your proposal. Our commitment is to be 100% honest and transparent throughout the entire process. Sadly, some companies will attempt to under-bid by not including what could happen in their proposal. Unlike flat rate pricing, our not to exceed pricing guarantees a price cap, yet allows for the possibility of your job coming in even below our price estimate. Our not to exceed pricing estimate may include items that turn out to be not needed. Our costs for all the possibilities will be explained to you. What if my tank is bigger? What if it’s filled with water? What if it has soil and sand which is not full of oil? What if my tank leaks? I want to know exactly what it could cost. Click here to find out why our ‘Guaranteed Not To Exceed’ price model is better than flat rate! Installation of an above ground oil tank. Preparing your home for sale If you’re selling your home. Terrific strongly recommends removing your underground storage tank when selling your home. We can manage this process affordably and with little disruption to you and your family. Landscaping or a driveway project might trigger a heating upgrade. Terrific Tank Services will manage the entire project from start to finish. Terrific Tank Services operates in a well defined geographic area within greater New Jersey and New York. 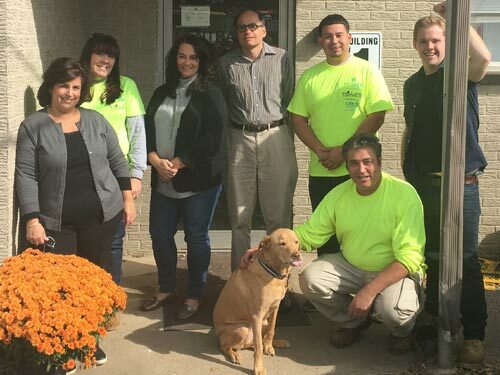 Since 1981, the owner and his teams have completed environmental and construction related projects for over 20,000 satisfied clients. Do you want to know all the exact costs prior to removal? We will manage the entire project from start to finish. We are fully licensed by the NJDEP, bonded and insured. On average, our crews complete over 30 different projects per week and with our state-of-the-art dispatch software and scheduling, our crews finish projects better, more quickly, on time and within budget. Our crews are trained and work together as a team. We start out by getting the local permits from your city, we only charge you the cost of the permits. Tank located in front of house — yes we will move and replant shrubs. We call for Utility markouts and verify their location. We then begin to excavate and uncover the top of the tank. The tank is uncovered and is ready to be cut open. The tank is cut open. This is what is typically left in the tank (residual sludge) prior to entering, completing the oil tank cleaning. Again, all oil removal and oil tank pumping is completed by our trained staff with all our own equipment. The tank is then thoroughly cleaned, ready to be inspected and removed. Oil tank removal in Bergen County by our trained crews. 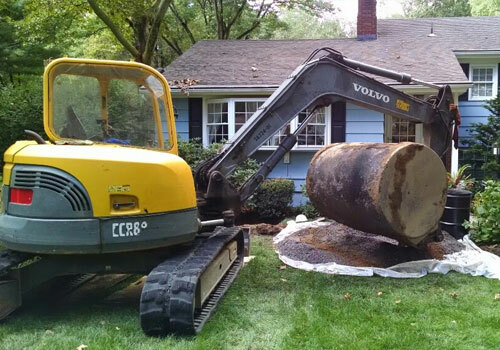 A 1,000 gallon tank removed in Bergen County, New Jersey. A 500 gallon oil tank removal. The tank is typically inspected by either a fire inspector or building inspector. 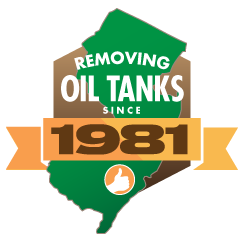 Another Approval for a New Jersey Oil Tank Removal! Backfill after a tank removal project. Repaving applied after a tank removal. We also install fresh concrete at completion, as well. Lastly, by hiring Terrific Tank Services, you get peace of mind. It all begins with a free consultation!